South African knitwear designer, Laduma Ngxokolo, and British/Nigerian furniture designer Yinka Ilori teamed up to create a chair for the Africa Calling exhibition during London’s annual Africa Utopia festival. 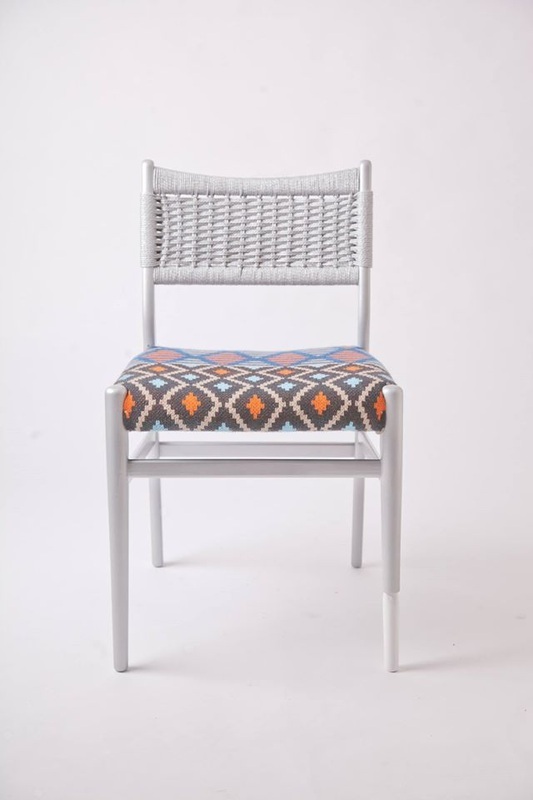 The Eyin Collection as it was named saw an upcycled chair framed painted silver feature a patterned knitted upholstered seat. 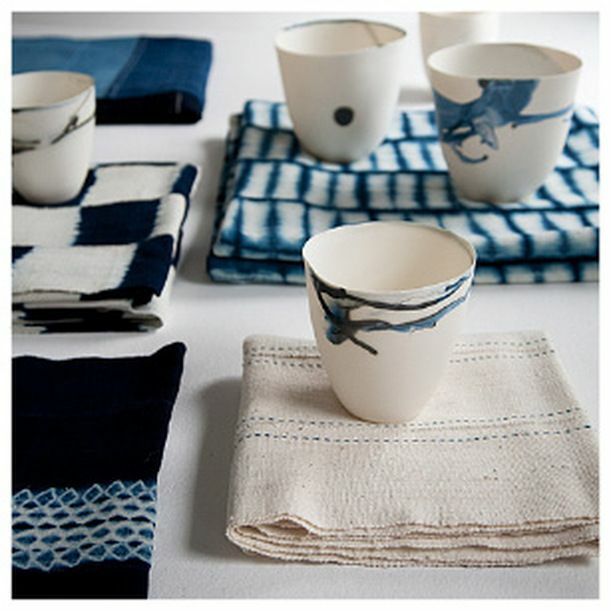 The intensity of deep rich indigo meets the delicateness of fine pure white ceramics in this collaboration between indigo dye master Aboubakar Fofana from Mali and South African ceramicist Katherine Glenday. 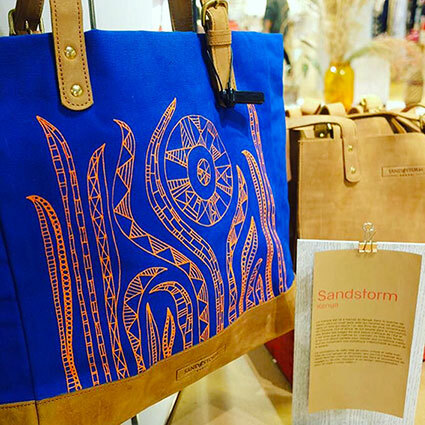 Lulu Kitololo is a graphic designer who cites Africa and nature as two of her greatest sources of inspiration based in Kenya she teamed up with local bag manufacturer Sandstorm Kenya to produce a limited edition collection of tote bags featuring her distinctive illustrations. 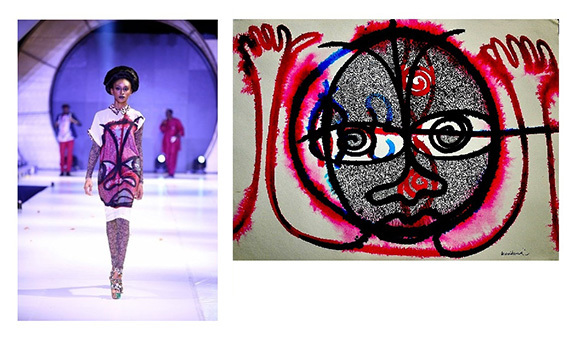 The graphic art of Nigerian artist Victor Ehikhamenor is turned into striking textiles for fashion designer Ituen Basi’s runway collection. 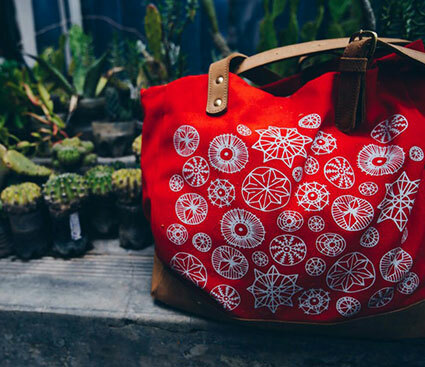 The spirit and inspiration of travel to far-flung places unite Lamu-based resort wear label LaLesso and South African jewellery brand, Pichulik who collaborated on an accessories collection of jewellery and clutch bags to complement LaLesso’s runway collection for South Africa Fashion Week. 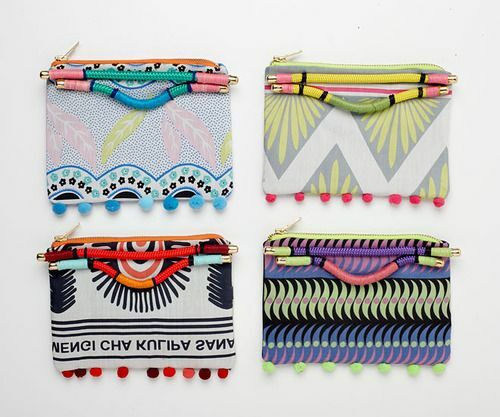 Textile designer Banke Kuku teamed up with renowned Nigerian fashion designer Lisa Folawiyo to create a bespoke range of textiles for the designer’s Spring/Summer 2012 collection. As part of a special project for 1:54 London, 2016. 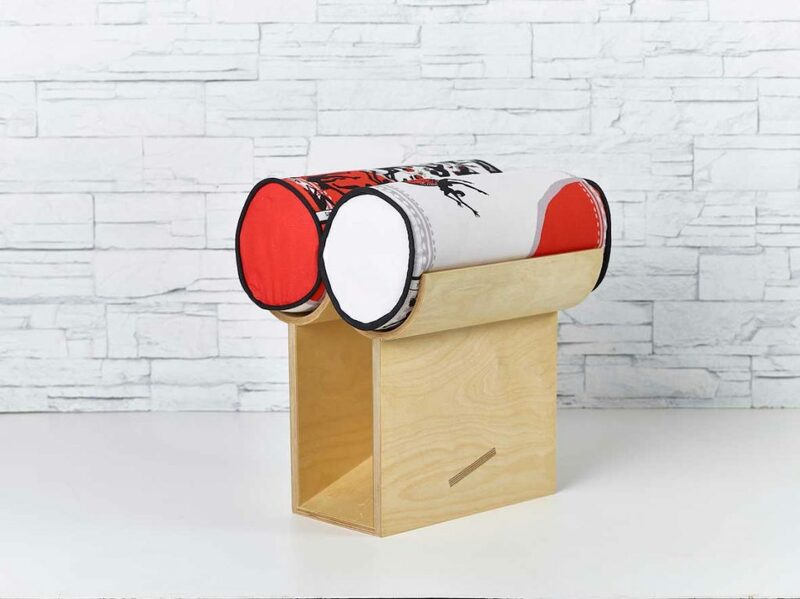 An architect/product designer, textile designer, and jewellery design artist collaborated to create a seating collection that was used in the lounge. Product designer Ifeanyi Oganwu, African inspired textiles design brand Toghal and jewellery designer/artist Phoebe Boswell.